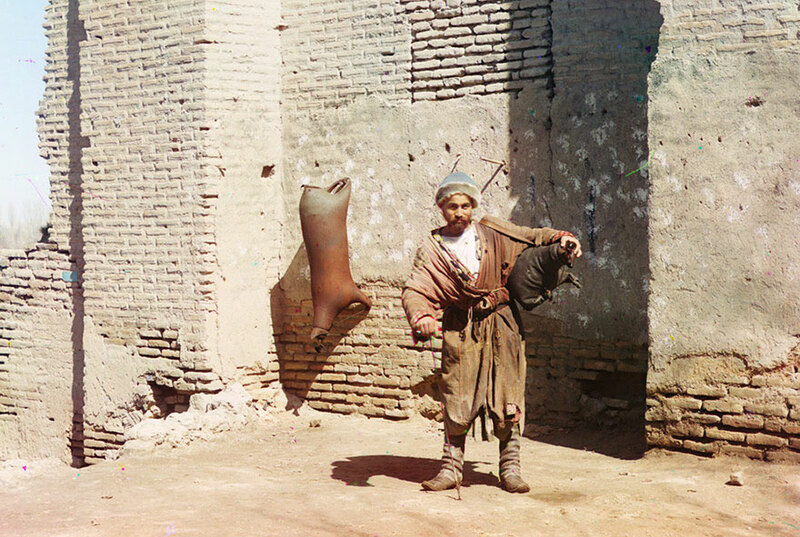 Given how many historical photos are video are shot in black and white, many of us can forget that the past was also in full color – we just don’t get to see it. 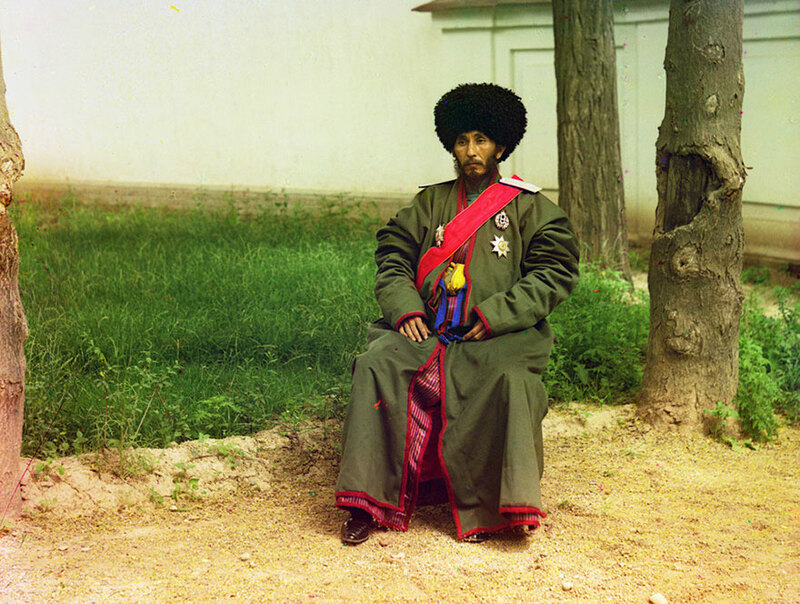 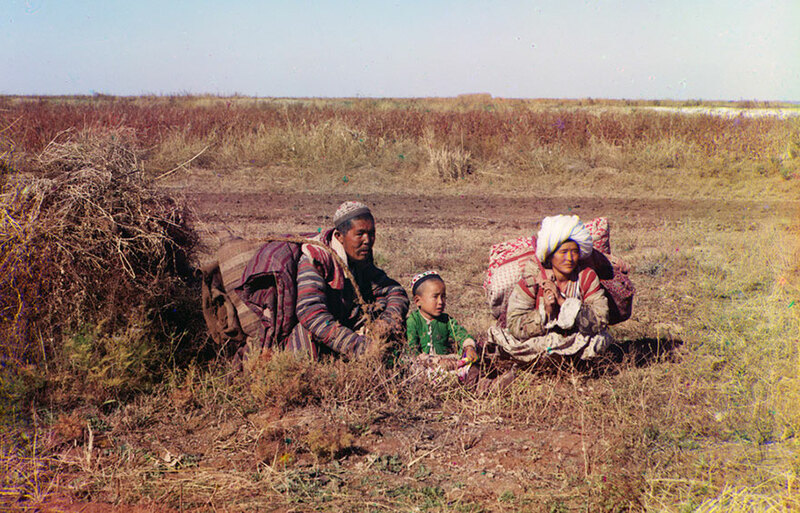 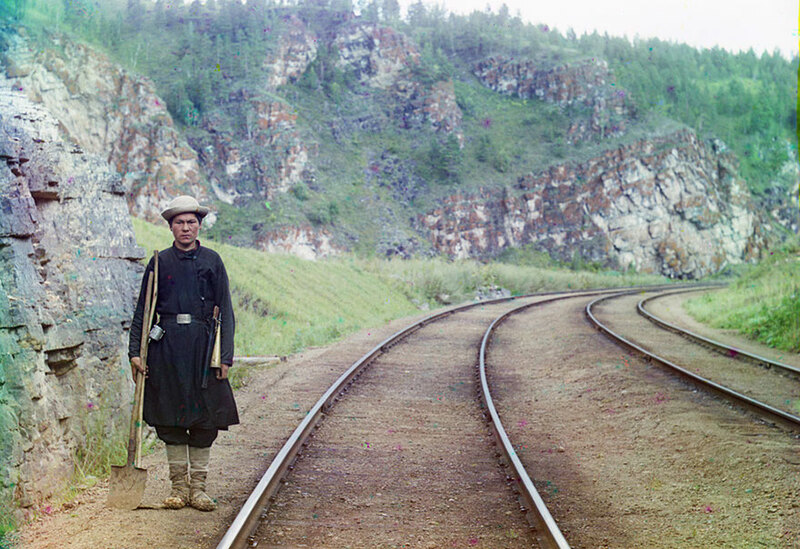 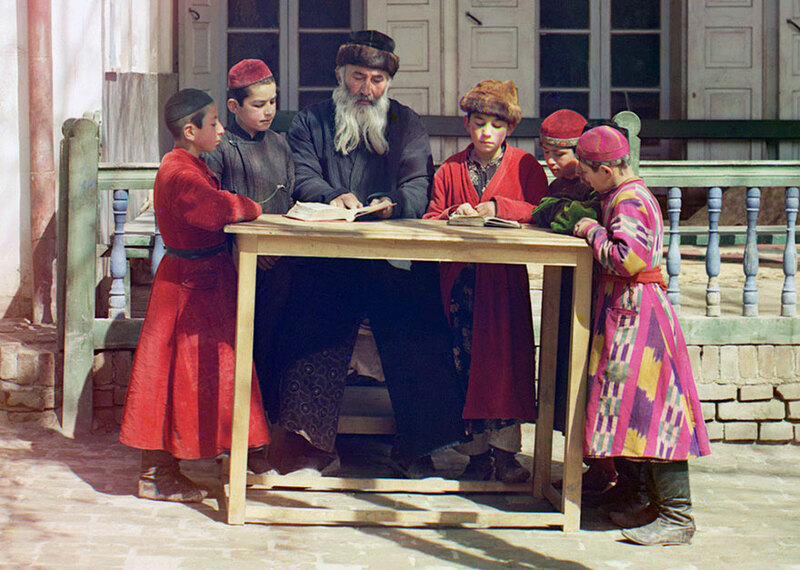 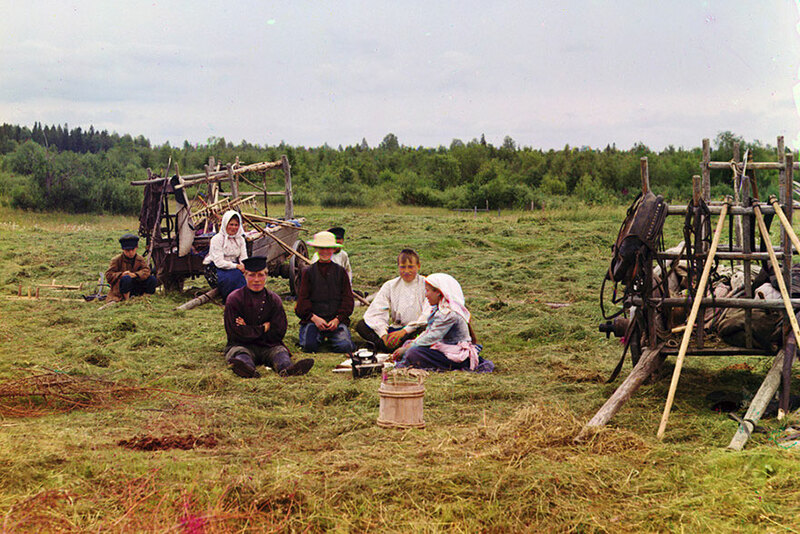 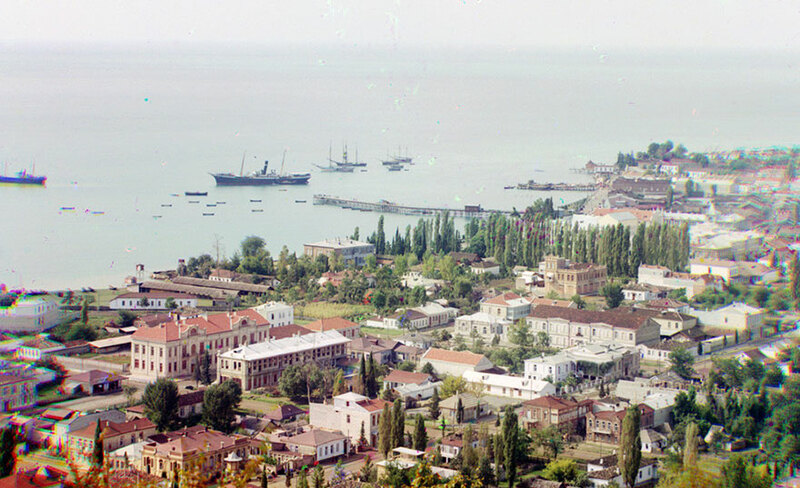 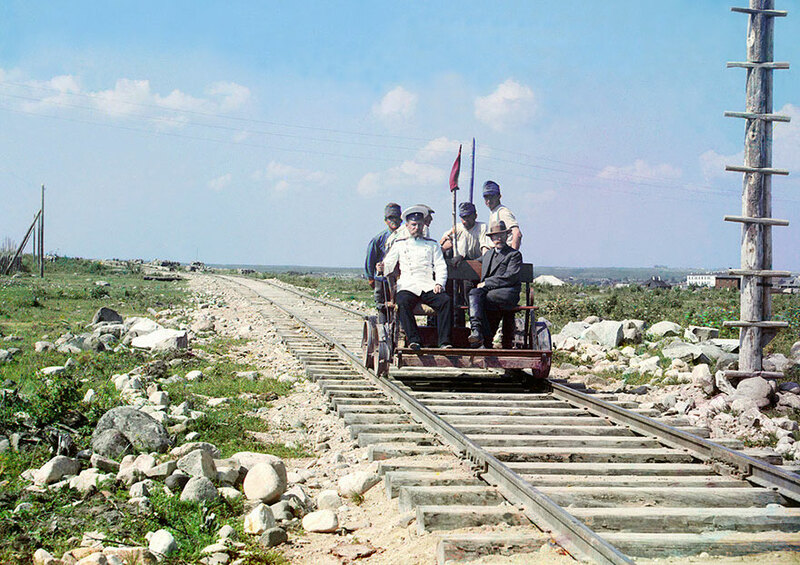 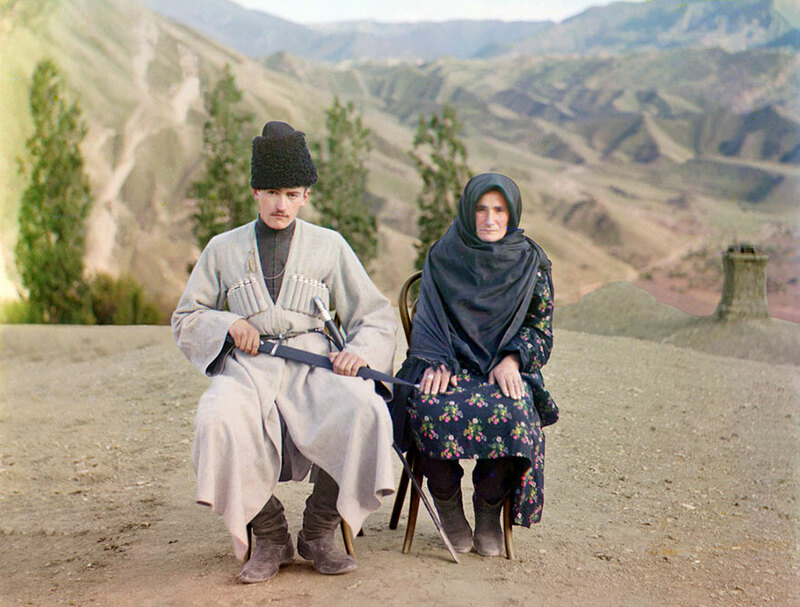 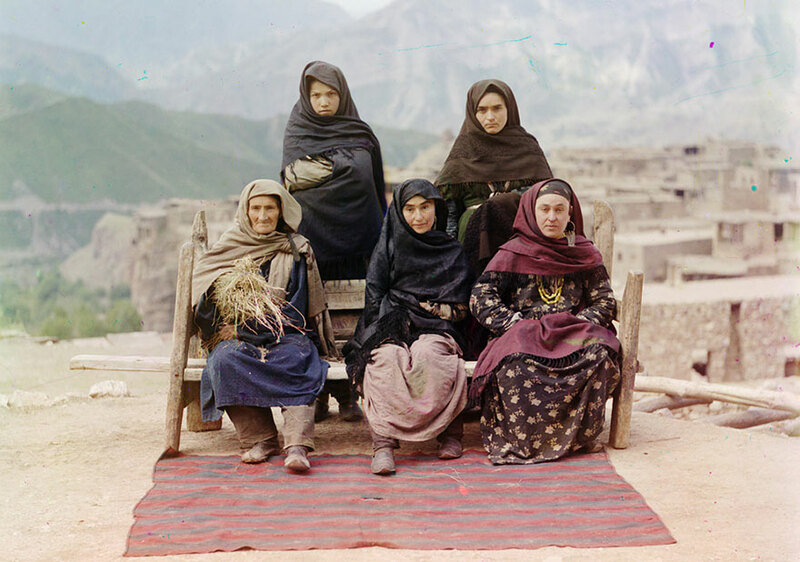 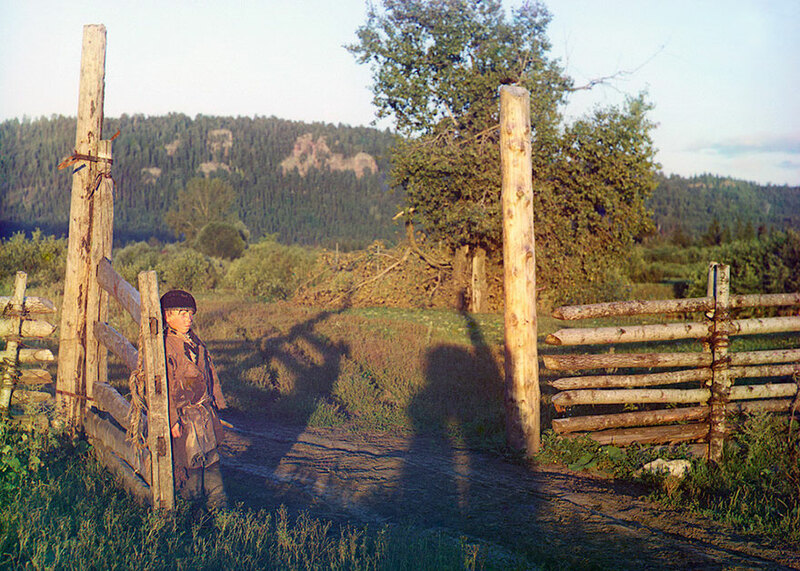 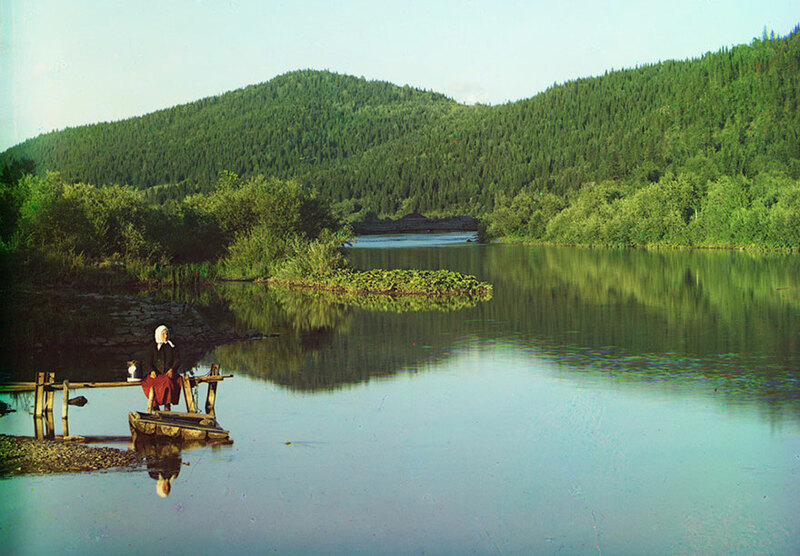 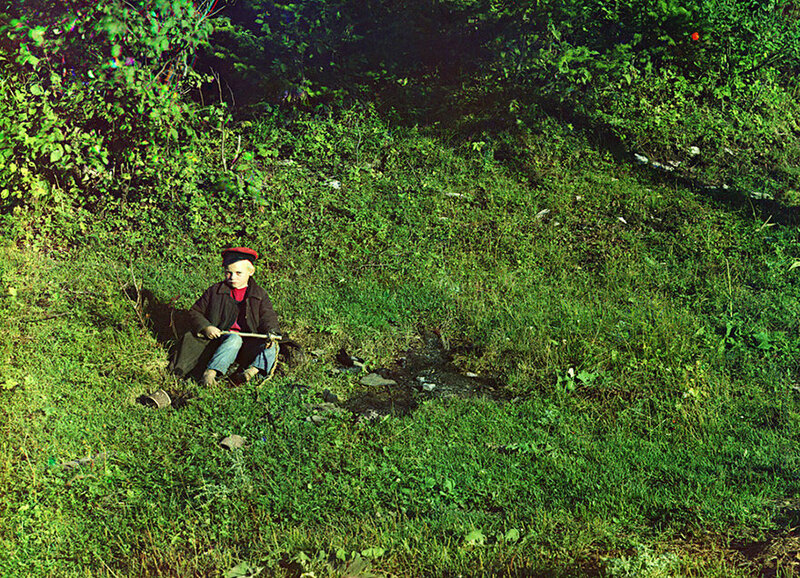 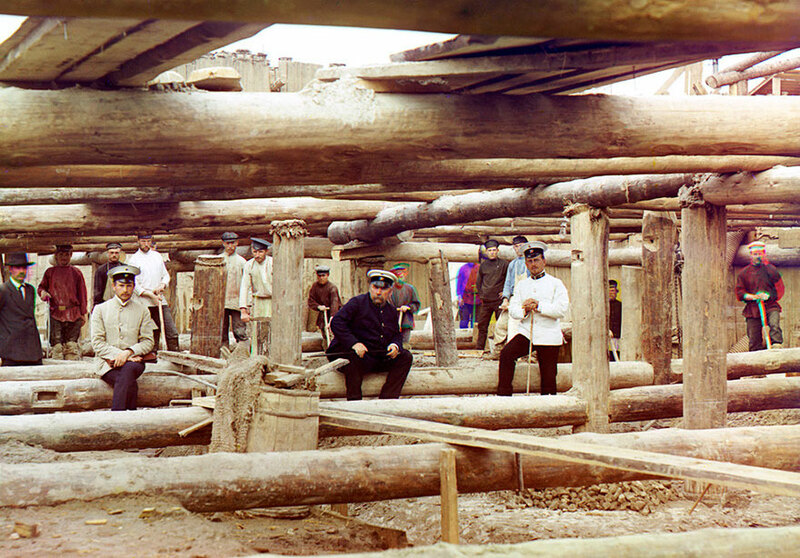 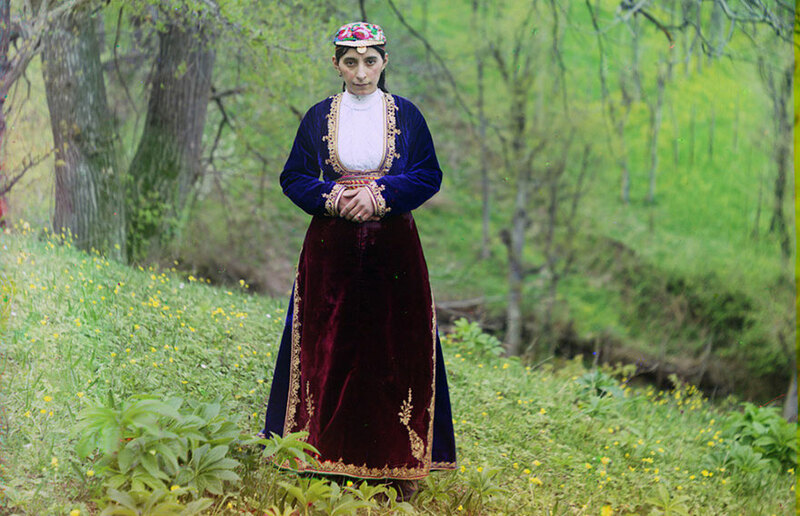 However, these photos of Russia in the beginning of the 20th century by photographer Sergey Prokudin-Gorsky give us a rare glimpse into the past in full and glorious color. 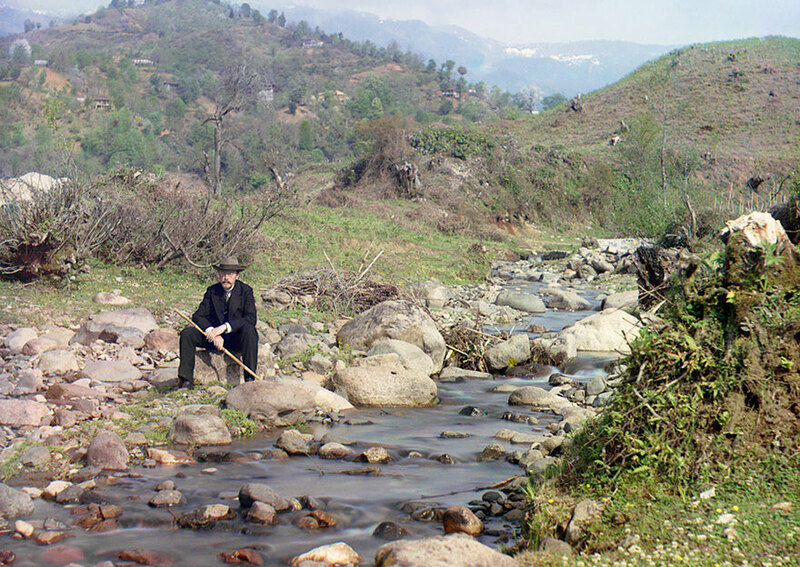 Color photography, in the way that we understand it, was not possible at the time, but it was possible to create a color image for the viewer by completing three separate photographs. 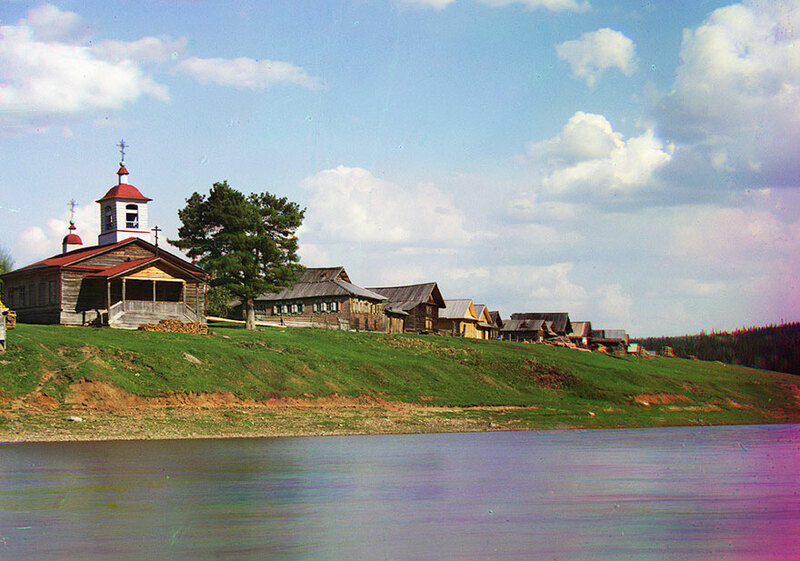 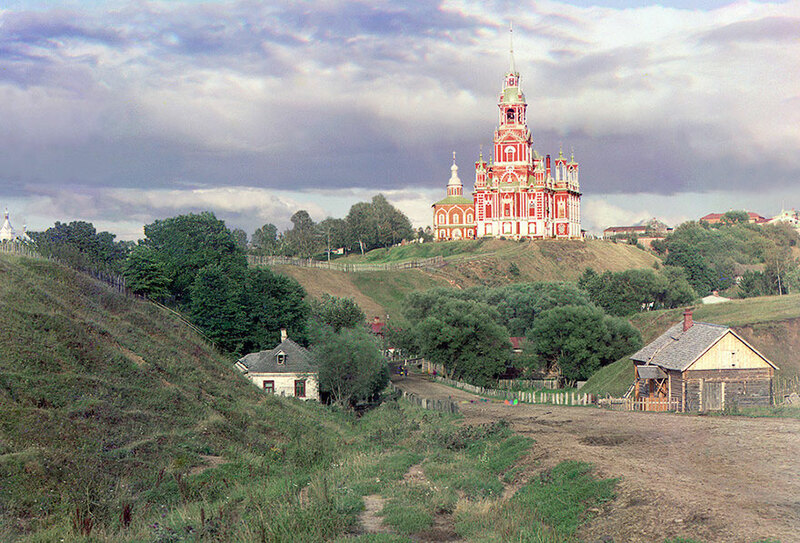 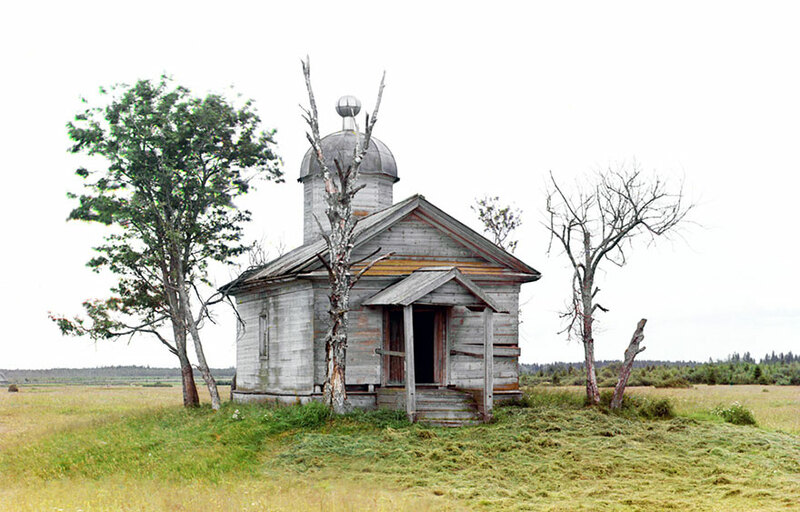 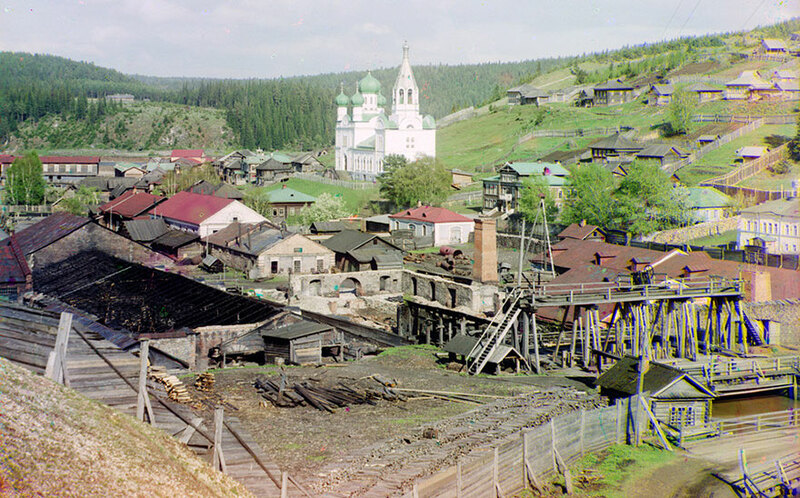 Prokudin-Gorsky had to take three separate photographs of the same subject – once with a red filter over the lens, once with a green filter, and once with a blue filter (red, green, blue – RGB – is a set of color channels used by many digital images as well). 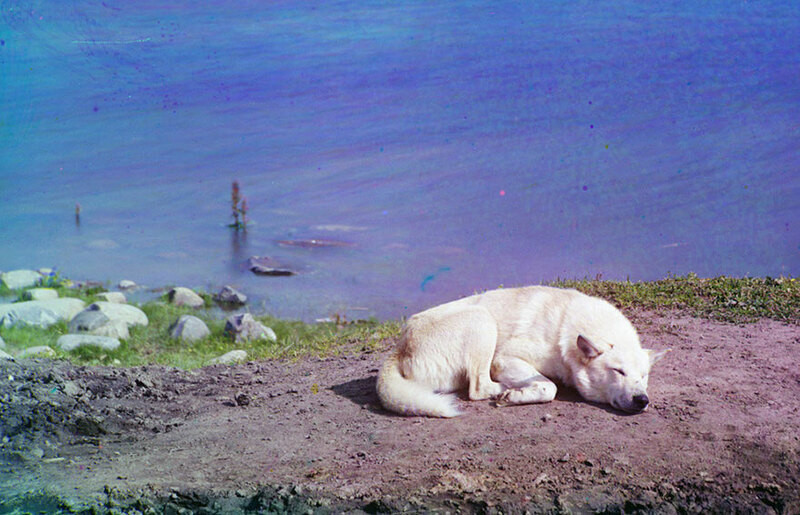 Later on, these three monochromatic images would be projected through filters of those same colors onto a screen and superimposed. 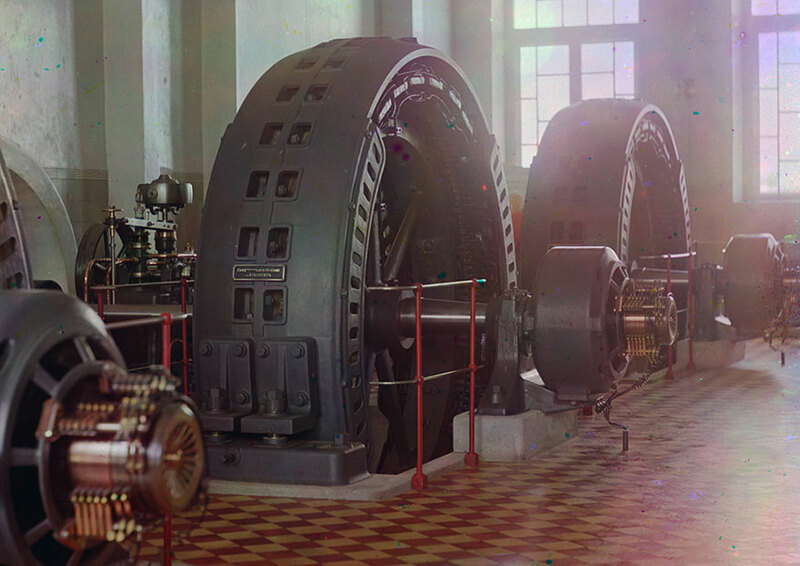 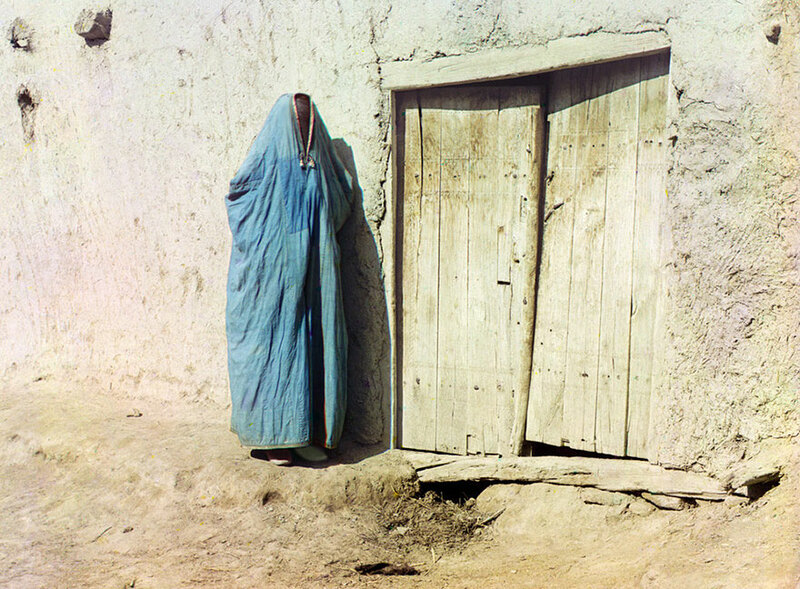 When viewed through a final filter, they would appear as a realistic color image to the viewer. 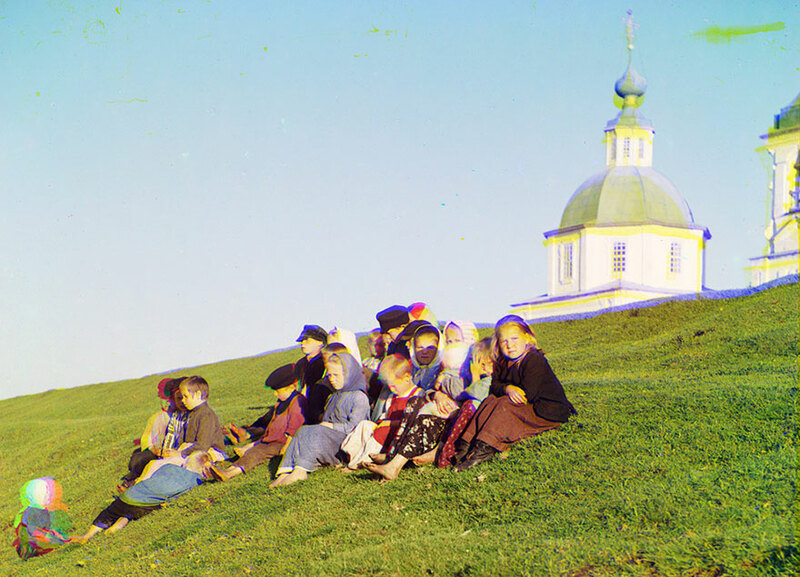 A trained chemist and artist, Prokudin-Gorsky began creating tricolor photos after studying with German photochemistry professor Adolf Miethe. 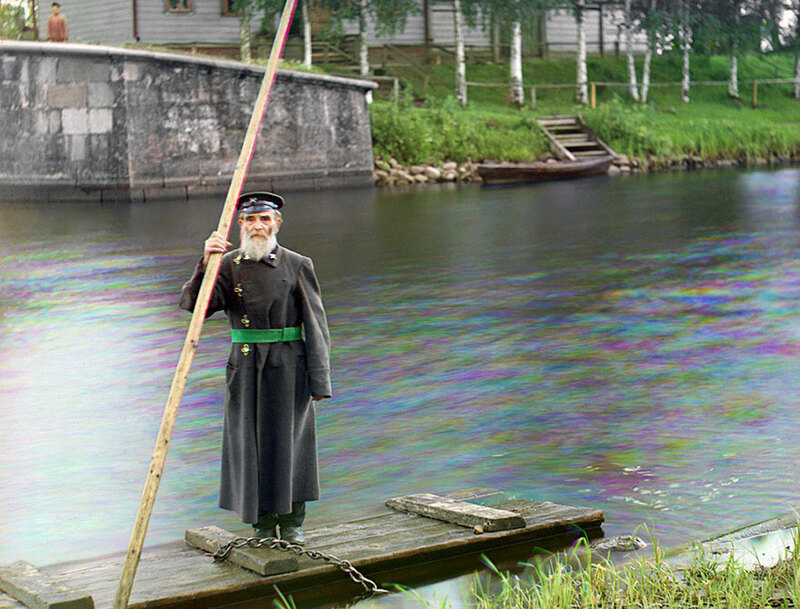 Tsar Nicholas II was so impressed by Prokudin-Gorsky’s work, including his famous portrait of Leo Tolstoy, that he commissioned the photographer to take pictures all over Russia. 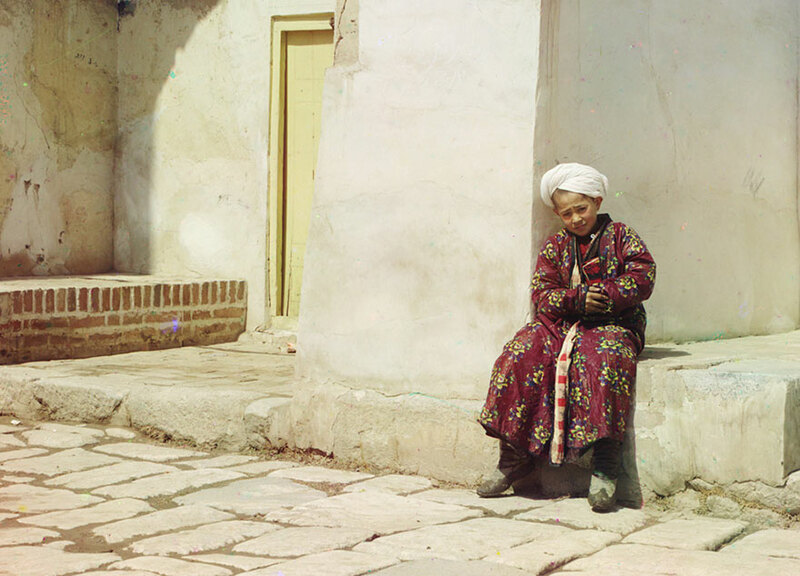 Though he fled Russia after the October Revolution, the negatives he took with him that weren’t confiscated were eventually purchased by the U.S. Library of Congress in 1948 and published in 1980. 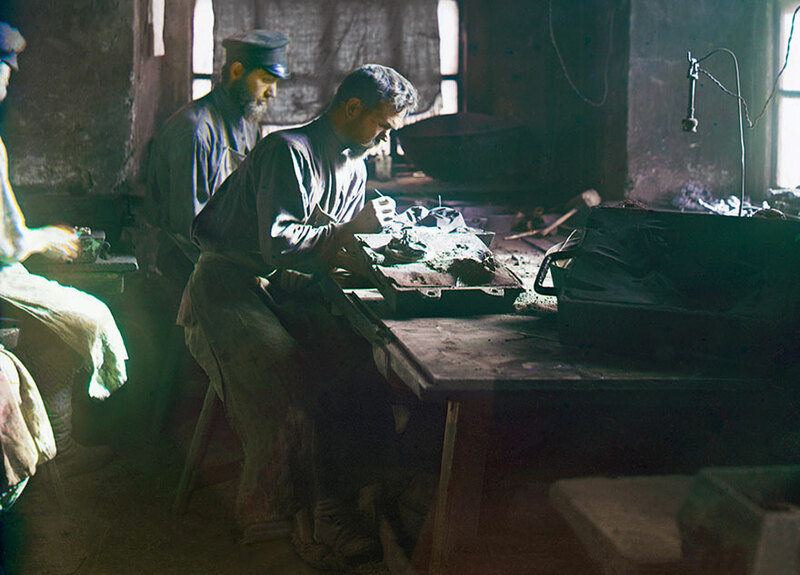 Molding of an artistic casting (Kasli Iron Works), 1910.